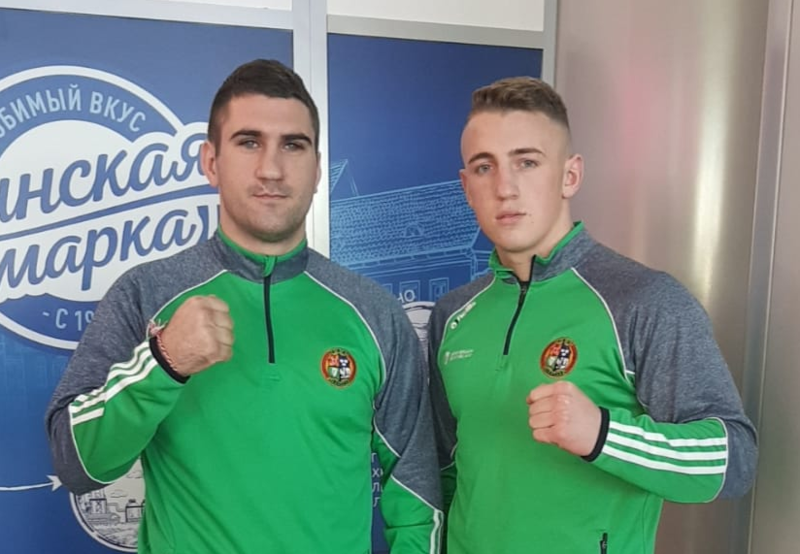 In an incredible couple of days for Limerick boxing all 3 Limerick boxers currently in action in Eastern Europe will be bringing medals home from their respective competitions. In Belarus Kevin Sheehy and Martin Keenan both secured medals yesterday in hard fought quarter final wins in the prestigious Liventsev Memorial Multi nations event. St Francis heavyweight Sheehy was first to secure a medal for the Irish team when he unanimously oupointed giant Lithuanian Robertas Jakulys. Using his speed and better array of shots the Carew park native controlled the first 2 rounds but had to survive a last round scare when he picked up a standing count from the increasingly desperate Jakulas. Sheehy weathered the storm and finished the last frame well on top to assure all 5 judges gave him the nod. Kennan boxing at superheavyweight has secured 2 wins in 24 hours to win his medal. Tuesday he had way to much for local fighter Dmitry Makarvich for a unanimous points win and followed that up Wednesday with a brilliant split decision win over French boxer and Rio Olympian Paul Omba. Kennan set the pace throughout and used his size and strength to great affect over his skilled french opponent and was deservedly awarded a 4-1 decision. With medals secure both boxers will be back in action today to try upgrade their medal colour beyond bronze. In Anapa, Russia Breda Quilligan was drawn straight to the semi final stages of the European Junior championships where she will box the winner of the quarterfinal meeting between the Hungarian and Turk boxer in the 46k division. Quilligan from the Rathkeale club will be in action Monday 15th Oct to try earn a place in the European final.